Mega Sale! 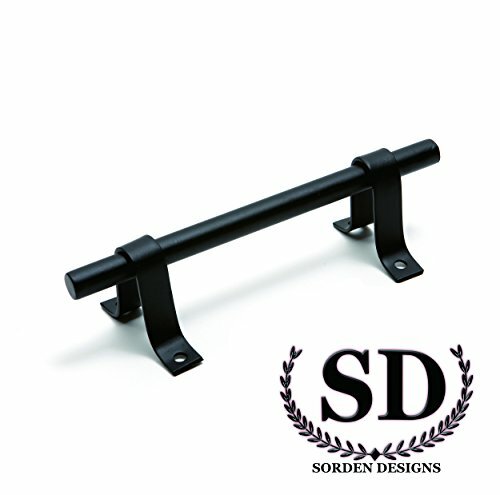 Save 28% on the 7-3/4''- Artisan Style Barn Door Handle - Matte Black Steel- Door Handles/ Door Pulls for Barn Door Hardware by Sorden Designs at UCBC Group. MPN: 43237-2. Hurry! Limited time offer. Offer valid only while supplies last. PERFECT FOR ALL DOORS: This door handle is perfect for both interior and exterior doors. Use the pull for glass, wood or aluminum door, its thick panel will be perfect for all your needs. EASY TO INSTALL: Handle mounting hardware includes 4 color matched fasteners needed to install handle. SUPERIOR QUALITY: Made from high quality steel with powder coated matte black rust resistant coating. Very strong and durable so it will never break, perfect for interior and exterior. INCREDIBLY STYLISH: This beautiful Artisan Style Handle perfectly accents sliding barn door. COMFORTABLE HANDLE STYLE: Handle is long for strong and comfortable grip. Projection & Grip: 1-1/2'' Proj. - 1'' Grip makes opening heavy doors easy. If you have any questions about this product by Sorden Designs, contact us by completing and submitting the form below. If you are looking for a specif part number, please include it with your message.